Check out the entire introduction to, 8-Bit Kingdom: Changing the World though the Beatitudes of Christ, below and look for the book in Spring 2016! ​Pilgrims are curious things. On the one hand, they seem to be constantly gravitating toward the locus of their power, fixed on returning to the place that they call home; to the tribe of which they belong. Yet on the other hand, they often like to stray, to venture out into the wild so as to uncover some artifact or way of life which may be a useful addition to their origin culture. This to and fro ends up developing quite the sense of drama, which one may expect, but the journey is necessary in order to both grow the pilgrim and remind them of who they are. In many ways, video games make pilgrims of us all. On the surface, many games carry the player through the life of a protagonist who is on a journey to discover who they really are. But below that surface, the very act of playing a game causes us to regularly venture out into the joys and plights of others, only to return again to our own lives once the games story has ended. And yet, this is only the first step in the journey. Beyond the games themselves lies a vast kingdom of gamers who identify with video games and each other in a way that few outside of this realm may understand. For gamers, the stories of characters in games are not merely well crafted pieces of digital literature, but they are beacons which help to bring together and define the identity of real life individuals and their community. In this regard, video games allow an individual both a fictional and physical framework to explore who they really are. Sometimes this discovery is made during a late night raid or co-op campaign with friends as we discover how our peers respond to the constantly changing dynamics and ethical quandaries presented to them in video games. And still other times, self-discovery is made through comparing our perceptions of a games’ narrative with the impression it left on a fellow gamer. Sometimes this journey manifests itself in a simple play through a game, while at other times, the pilgrimage that video games carry us through take the form of debates in game shops, massive marketing fueled conventions, or internationally broadcasted tournaments. But regardless of the form one thing is for certain, video games provide a cultural paradigm to help us better understand who we and others truly are. In many ways, the pilgrimage that video games provide is not unlike the Church. Both seek to enhance our lives by developing community and encouraging us to interact with the world around us. Both seek to challenge us so that we may grow and foster a sense of exploration. And most importantly, both seek to aid us in our understanding of ourselves. Yet, with all of these similarities, video games are still a kingdom unto itself and herein lies the problem. Having begun as a consumable product, video games were originally meant for little more than a temporary fun distraction. Yet as this product grew and evolved it took on stories, intangible impressions of humanity which far outlast the momentary glee of a simple game. The result is that video games are no longer a means to an end, an item crafted simply for profit, but now they are cultural artifacts which reflect the world around them. While it’s fine to still have industry built around such artifacts, video games’ adoption of human stories requires them to symbiotically feed back into society as a whole. In short, when games were bonded with real peoples’ stories it required them to contribute to how those stories would unfold. Or in other words, the more real to life video games get, the more they must carry with them a social ethic. In this vain, there is no better guide than the Church to help video games speak not only into the joys and pains of an individual or subculture, but into the joys and pains of all of humanity. Over the last several millennia, there has not been a greater force for positive change in the world than the one holy apostolic Church. Granted no institution is without blemish, but there has not been a single organization throughout the history of humanity which has labored as tirelessly as the Church has for the betterment of the world. For 2,000 years the Church has put more money, energy, and time into helping the entire world than any other institute and for that, it has at minimum earned the right to provide council on the best approach to serving humanity. With this in mind, if video games are to serve humanity on a broad scale then they would do well to look to the Church for guidance. While at first this may, at minimum, seem like a daunting approach, the focus of video games’ service may be quickly narrowed. While the opinions of the Church may be broad, the origin of its morality is not. Jesus Christ lies at the center of who the Church is and as such he provides the perfect starting point for video games to develop a social ethic. But even within the teachings of Christ there are near limitless ethical paradigms that could be formed with an equally innumerable focus. Yet, fortunately Christ himself gives us a compass to cast our trajectory. The first four books of the New Testament serve as a sort of biography of Jesus’ life. Of these, the second book, The Gospel of Mark, is widely considered to be the oldest. Here within Mark’s writings, Jesus is at one point asked, “What is the most important commandment?” Though seemingly simple, Jesus’ answer would obviously be viewed as not only the very bedrock of his teaching, but of the very Kingdom of God to which he constantly testified. Without missing a beat Jesus responds, “The most important one is this: ‘Hear, O Israel: The Lord our God, the Lord is one. Love the Lord your God with all your heart and with all your soul and with all your mind and with all your strength.’ The second is this: ‘Love your neighbor as yourself.’ There is no commandment greater than these.” Here Jesus provides us with a pretty simple and straightforward ethic: love the one, true God and love people. Additionally, within this ethic Jesus is careful to point out that the love we have must be fully pervasive of ourselves; it cannot merely be a love we only think or feel, but it must be a love that consumes our heart, soul, and mind and then moves us to action. Fairly enough, one may then ask what that action looks like and that is where the beatitudes come in. Of all of Jesus’ opportunities to teach which are recorded in his biographies, one particular sermon stands out amongst the rest, and it is known as the Sermon on the Mount. This is not because its subject matter was more important than other things that Jesus taught, but rather because it is the longest, most specific summary of God’s Kingdom’s ethics that we receive from Jesus. Given this, it’s fairly reasonable to conclude that its subject matter is a sincere explanation of how we should live by the commandment of loving God and loving people. Seated at the very beginning of the sermon are eight statements about blessings in relation to action. These eight statements are known as the beatitudes. Though not necessarily an all-encompassing ethic on their own, it is fair to say that Jesus placed the beatitudes at the beginning of his sermon because they relate into and help to form a larger social ethic of loving God and loving people. In that regard, the beatitudes provide a clear, succinct starting point for video games to develop a similar social ethic. 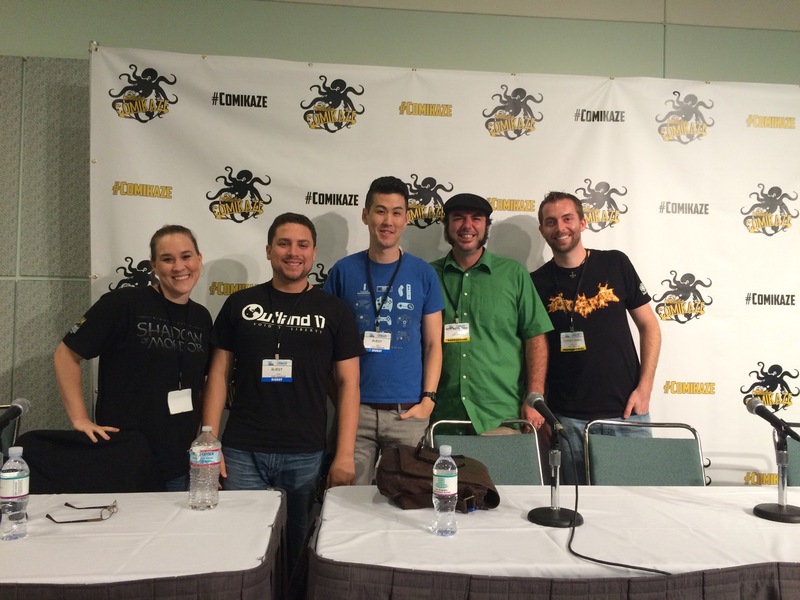 Thank you so much to everyone who came out to the panel today at Comikaze! You guys rock! It was a ton of fun and my crew and I loved getting to meet you all. We hope to see you again in the spring at Wondercon! So last night I sorta inceptioned myself. I had a dream that I was Batman, running though the routine of stopping the Joker who had planted a bomb on a boat with a bunch of teenagers. The first half of the dream had me as Batman, stopping the Jokers plans and seemingly saving the day while in actuality my hubris caused the bomb to unknowingly go off. While the second half of the dream had me assume the role of one of the teens. 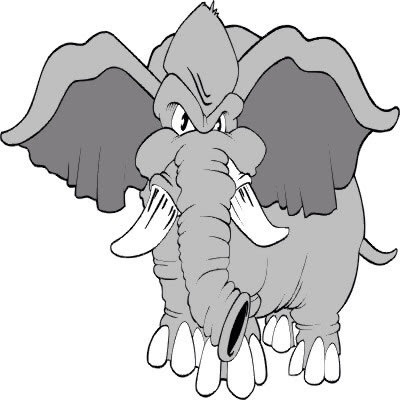 As soon as the bomb went off I was transported to a world where elephants enslaved people and I helped to lead a revolution to overthrow our pachyderm overlords and return to the real world. But here’s the kicker. In the midst of our final stand against the elephants, the dream began to jump between our revolution and my teenage self being pulled from a lake by emergency personnel. I soon realized (right before I finally actually awoke) that the “reality” of my dream was that I, along with several people, had been in a boating accident and that I was simply imagining the Batman and elephant tales as I swung in and out of a coma. Needless to say, mushroom pizza and wine before bed may not be a good combo for my subconscious. However, my journey down the rabbit hole got me thinking: this overlap of fictitious heroic tales and real life tragedy is not a dream, it’s something we experience every day. We all love games, comics, movies and tv. It’s hard to not feel like a champion when we live vicariously through the eyes of Nathan Drake, Batman, or Jon Snow. But the reality is that when we turn the last page or click the tv off we are transported to the real world again, and it’s a place deeply marred by tragedy. So what are we to do? Well there are really only two options. Option one is we allow the exploits of our fictitious heroes to simply remain in a fantasy world. We join them when we need an escape from reality and we never let their heroism extend beyond the screen. Or option two is we bridge the gap between fantasy and reality. Like a committed sidekick we follow after these heroes in the best way that we can and to the fullest of our abilities which means we emulate them within the confines of our own life. We stamp out injustice where it grows like a weed, we fight for love, and we help build a world that can only exist when real heroes rise up. We may not have to fight the Joker or super intelligent elephants but we can fight against bullies and terrorists and oppressive regimes. We can fight in a way in which the best of our heroes do: by preserving life and liberty for all, even those who are our enemies. Only then may we hope to bring about change which is lasting and effective. But first we have to wake up and make the choice; will we be real heroes in a world that needs them or will we simply remain asleep in our own fantasies? What Would Robin Williams Do? Yesterday, a part of my childhood died; a segment of some small and special reserve of purity that was crafted by the many ways in which Robin Williams contributed to the characters I grew up with and adored. In truth, August 11th will stand as a day in which we all lost a hero. And although the Facebook statuses, memes, and montages are all fine ways in which to remember Robin, the truth is that in the end they are all somewhat trite. Rather than superficially remembering this man whom we all loved with mere words, I believe that the best way in which we can all remember and honor Robin is by emulating the pantheon of characters he contributed to and created. As a tribute to this icon, let us care for the sick like Patch, love our spouse like Armand, or sacrifice anything for our children like Mrs. Doubtfire. May we guard the purity of youth like Peter, lift up the downtrodden like Adrian, or slave to grant others dreams like a Genie. 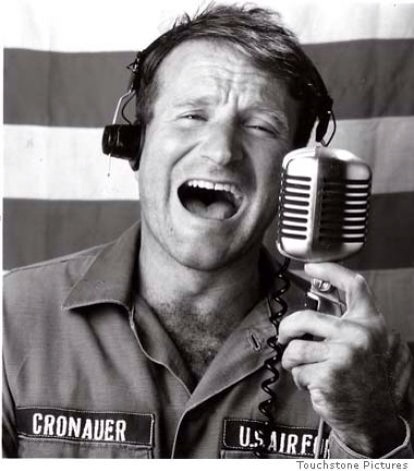 Beyond the characters themselves, in remembering Robin’s own life, may we learn to laugh amid a shroud of sorrow, defeat the addictions that seek to enslave us, and be a conduit of joy in a world so deeply broken. Robin Williams many be gone, but his spirit may live on and take new meaning in us all if we learn from his life and allow our grief to turn to action. Yesterday, we may have lost a great man, but his life speaks to the amazing ways in which God may use each of us and our talents to better the world. If we move ourselves to act in the light of this tragedy, then Robin’s life and the characters he crafted may not simply become fond memories, but a catalyst for true change in the world. The last 5 months have been the best of my life. On October 20th at 7 pounds 1 ounce our baby boy Ronin Peter Ryan was born! The months before and the months since have shifted our lives in more beautiful and amazing ways than I could ever imagine and I’m left with a vast sense of awe at the majesty of God’s blessing in motion. 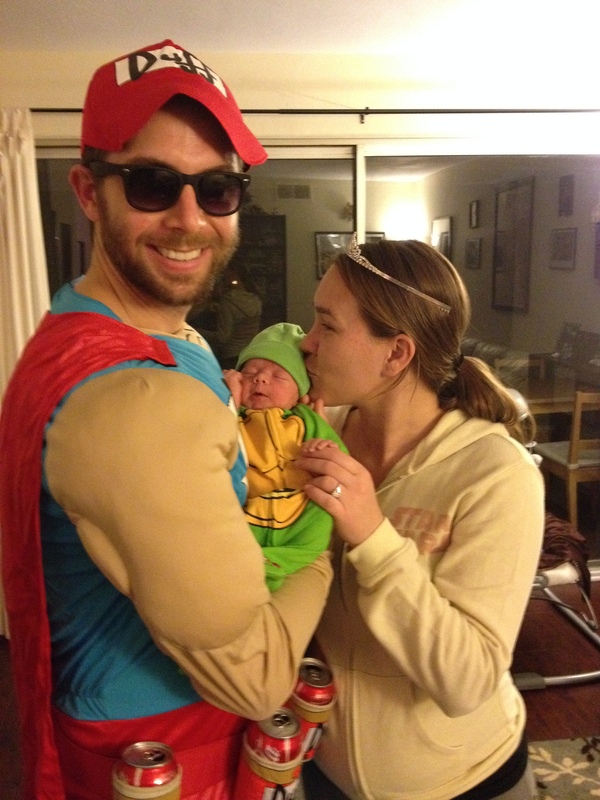 It goes without saying that life has been insanely busy as my wife and I have fought to keep up with all of the change. However, in the midst of it all, I’ve found myself again and again coming back to one unique reflection. I’ve been losing a little sleep lately. Over the last few months I’ve come to realize that my new son, Ronin is a lot like New York City: he has tons of personality but he never sleeps. However, the upside to infant induced insomnia is that I’ve had ample time to reflect on the overwhelming blessing of parenthood. Being a parent is somewhat like gaining a superpower, and I’m quickly learning that with great power must also come great responsibility. And while these responsibilities often manifest themselves in the privilege of seeing my young boy smile, squirm and coo, I’m also astutely aware that every superhero has a villain. For now this villain appears as intense gas, assaulting my little guy with gnarly poopy diapers and 4 am fussiness. Over time however, this villain seems to grow more sophisticated and as children grow it develops new strategies for attack. Infant gas attacks morph into a myriad of insecurities and insufficiencies as a child grows, eventually developing into a full blown war by the time they are a teenager. By that time, most youth are besieged by the evolved tactics of this enemy as they struggle with deep issues of abandonment, loneliness, and fear of failure. The pain of the gas may indeed overwhelm my little guy, but that’s where I come in. As his daddy, I have been charged with the responsibility of defeating this foe and restoring joy and comfort to my boy. In the same vain, the villains of our youth are not without their vulnerabilities. However, these villains too can only be defeated through the power that comes with cooperate parenthood. Abandonment and insecurity can be conquered when we band together as parents for those children and youth within our midst. Deuteronomy 11 is a beautiful reflection of this as God reminds the Israelites of the ways in which he helped them to overcome various obstacles because he is their Father. It’s been keeping me awake thinking of all of the foes out there in the world, lurking in the shadows, waiting to attack my son or the children of our community. But when they do, I will be prepared. God has given us the responsibility to care for children and youth by bringing us into the divine role of parents, but we have not been left without a tactic ourselves. With great power comes great responsibility, and the power that we have been given to vanquish these enemies is itself the power of the one true God. Our father in heaven guides us throughout our role as parents so that we may confidently conquer any villain which may strike at our children. Through his power we may have peace and, although it may not come with much sleep, we may rest in the notion that our father paves the way for us in our roles as parents. Think dynamite, napalm and gunpowder. Think fireworks inside of a tornado over a bubble wrap factory. Think stupidly, awesome chaos. That’s been my life lately. As I mentioned in my last post, nearly two months ago, the last 8ish weeks have been marked by a major job and ministry transition, the second trimester of my wife’s pregnancy, finals, receiving my masters, and visits from nearly two dozen awesome family members. Bookending these crazy events were the beautiful, flurries of E3 and Comic-Con. Although these two events only comprised 7 days, they exposed some of the most significant and outstanding transitions in the gaming world in several years. Beyond that, the theological breadth of their impact is radically profound. As such, I’ll have a handful of reflections and musings over the next few weeks about what conventions like this can show us about the ways in which the Kingdom of God is unfolding in the world. A taste of this can be distilled in the story of Max. Now, Max is a guy that is in his late 20’s or early 30’s. I’ll admit that I’ve never met Max but I do know a few things about him. Max is a nice guy. He’s a bit overweight, a little shy, and he’s awesome at Guitar Hero. All of the sudden the auditorium was no longer filled with the 2,000 separate lives of separate people, but was transformed into one unified body, cheering Max on to his goal. 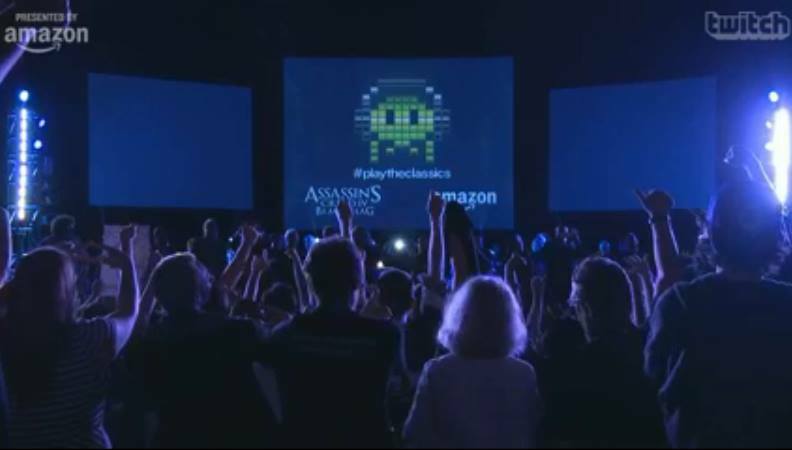 One week ago, on the Saturday evening of Comic-Con, my brother, my wife and I found ourselves at the free Video Games Live concert in downtown San Diego. I’ve never been to Video Games Live but I’ve always wanted to go. The harmonious way in which the symphony reflects the community of people involved to create something complex like a game is an awesome parallel to the beauty played out through the community of the church. The craft of cultivating beauty is intrinsically tied to the imago Dei (man reflecting the image of God) and Video Games Live is a radical way in which this is displayed. During the concert there was a Guitar Hero competition in the foyer. Max won this competition and as a prize he was able to play the Foo Fighter’s, Pretender, on stage with the symphony. The catch was that if he was able to score 400,000 points then he would win $1,500 worth of prizes. As Max began to play, the crowd nonchalantly watched him play but as he crept closer and closer to the 400,000 marker the energy in the room began to congeal. All of the sudden the auditorium was no longer filled with the 2,000 separate lives of separate people, but was transformed into one unified body, cheering Max on to his goal. Every time he missed a note, we all sank with him and every time he scored a bonus we burst into applause. Finally, with only seconds left until the song’s conclusion, Max hit his mark and the room exploded. Thousands of hands burst into the air as a strong and steady chant of Max’s name reverberated off of the acoustically carved walls. Max had won, but we all felt it, we all crossed that finish line with Max, and we all lifted him up and affirmed him. This is the church. This is what Christ wants from us and for us. To lift each other up. To affirm each other and unabashedly encourage until we are all able to fulfill our potential in all of our passions. I saw the face of Christ in that moment there at Comic-Con, in that auditorium in San Diego, and it was beautiful. Catch a glimpse below with the video of Max. Like racing through that last lap on Baby Park in Mario Kart: Double Dash, I’m frantically trying to stumble across the finish line after what has felt like an endless race. Over the next 30 days I will be writing two, 15 page papers on theology, entertaining nearly two dozen guests staying at our house, graduating from seminary, wrapping up my time at my previous church and starting a position at another one. Not to mention E3 and finding out the gender of my child (which will inevitably lead to a total overhaul of our spare bedroom/soon-to-be baby room). Needless to say, I’m a bit frazzled. What’s funny about times like these though are that when life tends to ramp up and my time is outrageously stretched, I tend to play more video games. I have no doubt that a month from now when things start to settle down a bit (well more like two months from now because of Comic-Con in July) I’ll begin a steady, rhythmic diet of gaming. As it stands now though, the last three years of school have often left me as more of a binge gamer, racing through 30 hour games in mere days so that they didn’t conflict with the onslaught of tests and reading. However, sometimes I feel like this is the best way to play a game. By allowing myself a few days to block out the world and settle into the realities of Columbia, Arkham, or the Mushroom Kingdom, I’ve often found that I’m able to return to the grind of the real world with a sense of vigor and clarity. 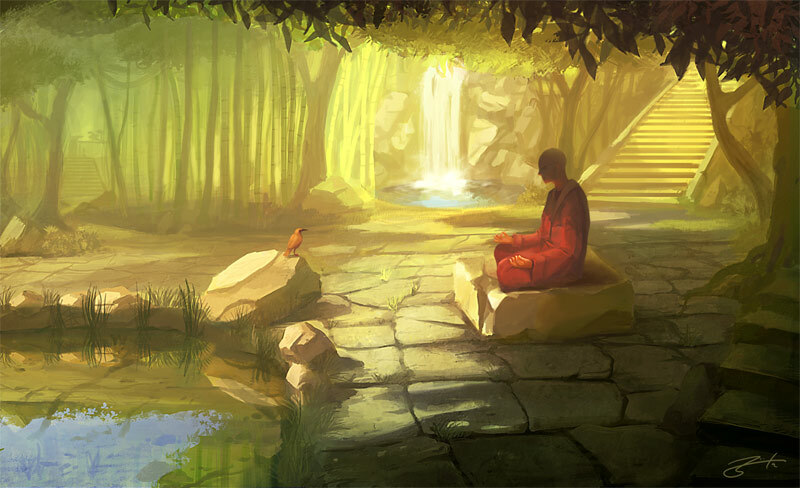 In many ways, gaming sessions like these can act as a form of meditation, they still our hearts and our minds so that our system doesn’t get overloaded. The end result is that I’m typically better able to prioritize the things that I need to get done because the fiction of games helped to reorient the necessity of reality’s gnawing requests. So next time your schedule feels like its dragging your behind the leash or the weight of your responsibilities seem to be crushing your ability to enjoy life, maybe take a moment and escape from reality. Let the linear, constricted, and repetitious movements of a fictitious game world take over. Give in to a place where the worst thing that can happen is a game over screen and the demands are never beyond your trained ability. You may find that a break from reality is the most pressing choice that you could make. I'm Jeremy Ryan, welcome to my site focused on showing how video games may be used to help better the world. Together we can crush the mega bosses of poverty and brokenness! 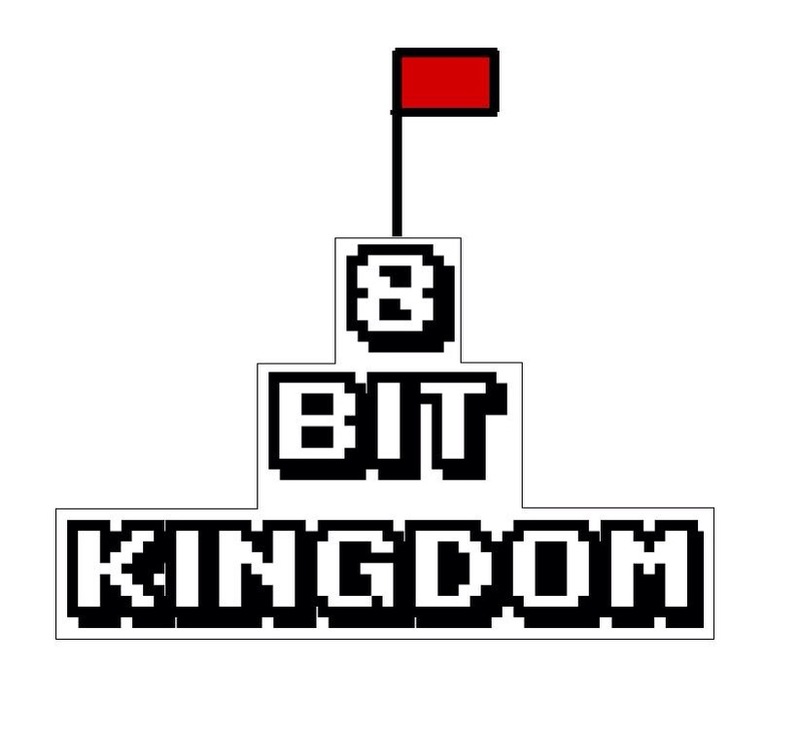 Enter your email address to subscribe to 8BitKingdom and receive notifications of new posts by email.